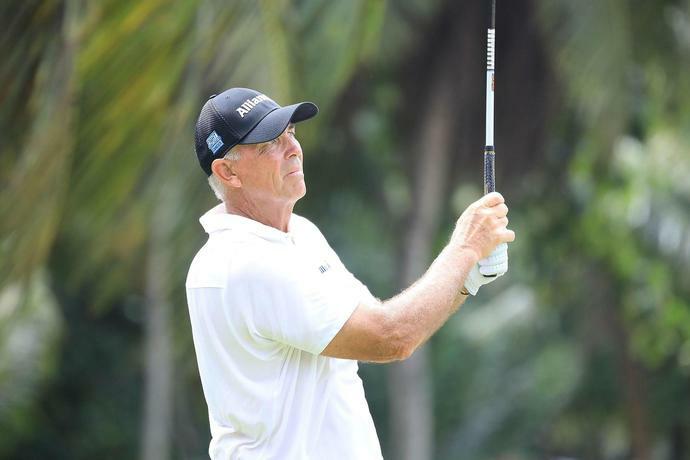 A tournament that was David Toms' to lose was lost on Sunday, when Tom Lehman erased a four-stroke deficit and won the PGA Tour Champions' season opener, the Mitsubishi Electric Championship at Hualalai, by a stroke on the final hole. "I feel very badly for him to finish with a three-putt when he played so well," Lehman said. "He played great golf. But I didn't make any mistakes. I played two bogey-free rounds to finish the tournament. "Four shots behind, you need to get some help. David only made a couple of mistakes. He played really well today. But I played about as well as I could play and got very fortunate." "To finally get this win is so gratifying," Lehman said. "I love this trophy. This trophy is so cool. I can't wait to give it to my kid. I've played well here in the past, so it's great to finally get this win. To beat this field is very significant." ABOUT As a kid, Luke Donald pretended he was Hall of Famer Seve Ballesteros and tried to save par from every conceivable spot around the greens. As a pro, Luke used those practice sessions to help get to the top of the PGA Tour in just about every short-game statistic over 18-plus seasons. Now you get to learn his secrets.